As discussed in an earlier post, Craig Douglas guest lectured in my Sociology of Guns course this semester, stopping at Wake Forest on his way from teaching a course in Idaho to teaching down the road in Carthage, North Carolina. As we were talking on the phone about his guest appearance in my class, he mentioned that he had a seat available in his Shivworks Extreme Close Quarters Concepts (ECQC) course and said I was welcome to have it, if no one else signed up. By Wednesday evening, when we were wrapping up our post-Sociology of Guns seminar socializing, Douglas reiterated that there was an open seat in his ECQC course and I was welcome to it. I gratefully accepted the invitation (and tuition waiver, though I paid my own travel, hotel, food, gear, and ammunition costs). I had met Douglas twice previously, both times at the Rangemaster Tactical Conference. In 2014, he did an interactive seminar on “managing unknown contacts” (MUC) and in 2018 he ran an experiential learning lab doing simulations like the ones he ran in my Sociology of Guns class. I really had no idea what I was getting into when I agreed to take ECQC, and it is a good thing (as I will explain in a later post), because had I known I might not have accepted the invitation so eagerly. The ECQC course incorporates the MUC and simulations I had seen, but adds much more and turns them up to 11 (to invoke Spinal Tap). 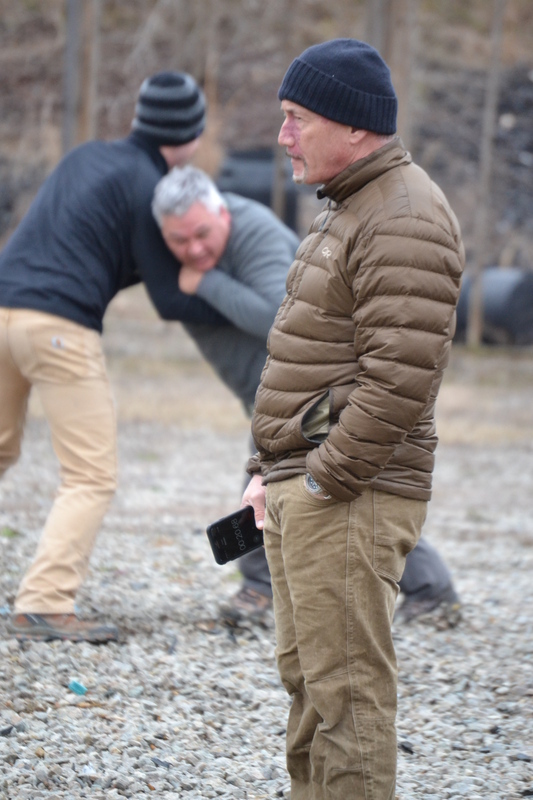 ECQC combines instruction AND practice in (1) managing unknown contacts, (2) Greco-Roman wrestling-based grappling on one’s feet and jiu-jitsu-based ground fighting, (3) close range shooting techniques, and (4) protecting a gun you are carrying, accessing your gun, and disarming an attacker. All of these techniques are then tested in what Douglas calls “evolutions,” force-on-force drills designed to validate the day’s learning and to highlight areas in which additional learning and practice are warranted. According to Douglas, this form of experiential learning is “almost like an acting class. You’re not just studying but you’re doing and feeling.” You get immediate experiential feedback – in your body, mind, psyche – about what skills you do and (in my case, to be sure) do not have to address a life and death struggle at arm’s length or closer. 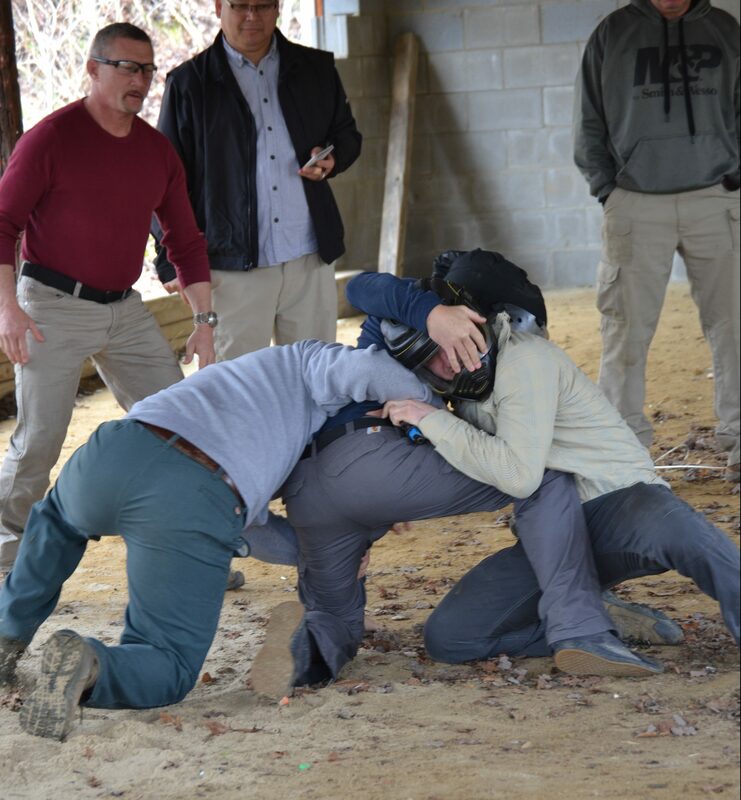 Stay tuned for additional posts on what I learned in this Extreme Close Quarters Concepts course. Tags: Craig Douglas, force-on-force, North Carolina, Shivworks. Bookmark the permalink.